A former director of the Indian Institute of Technology (IIT) Madras, professor M.S. Ananth, recollects a dinner table conversation with an Indian Administrative Services (IAS) officer. The IAS officer firmly believed that the IIT Joint Entrance Examination (JEE) could easily be replaced by any other exam in India. Like what, asked Ananth? Perhaps, the UPSC examination, argued the officer. It is fair, tough and can pick the best minds in the country. Ananth remembers his retort to that suggestion. “You get your current UPSC batch and I will get my students and let’s see which is the best team at analytical and reasoning skills.” Ananth claims the officer had a hearty laugh and left it at that. There is the Dakar Rally in motor rallying. There is the Ironman Triathlon in athleticism. And then there is the Hell Week at the Navy Seal’s training course in the US Marine Corps. These are things that push the mind and the body to the extent possible. The IIT-JEE can be added to this list. It would definitely rank among the toughest three examinations in the world. The JEE began life as the Common Entrance Exam (CEE). The CEE coincides with the IIT Act of 1961. The idea was to weed out mediocre talent and pick only those who could solve S.L. Loney’s trigonometric identities while brushing their teeth. A JEE question wasn’t just a question. It was designed to knock the intellectual stuffing out of the candidate. Many who have been a part of the JEE system feel it is the best examination when it comes to testing the intricate knowledge of students. “It does not matter if 2 lakh or 5 lakh students are taking the exam,” says Dr. Ashok Misra, chairman of Intellectual Ventures and former director of IIT, Bombay. Misra himself took the JEE (then CEE) in 1963. “It didn’t matter where you came from; to clear the JEE you had to be good,” says professor Jayant Baliga, Distinguished University Professor NC State University who was in the top 50 when he took the exam in 1965. To help the students, postal coaching classes like Brilliant Tutorials came up. Later, coaching towns like Kota in Rajasthan came up as most state boards did not equip students for the gruelling demands of the JEE. Lalit Goel, an IIT Bombay alumnus, and top 50 ranker in the JEE, remembers his days at Bansal Classes in Kota. “I had made a decision that I will not play [cricket] and not think about girls. We are all away from home. All days were very busy with the coaching and homework,” he says. But what made the JEE a starting point for something good was the faculty. “It was absolutely world class. I remember my mechanics professor telling me that they weren’t here to teach us a topic, but rather a way of thinking about problems. That’s what makes the IITs special. The JEE is just the start,” says Nitin Srivastava, co-founder & CEO, Mindworks Global Media Services, and an alumnus of IIT Kanpur. So long JEE: It was tough while it lasted! IIT-JEE are useless exam to assess the Engineering and Technical ability. The article itself shows that even professor themselves are not aware that what are they teaching to the IIT students. Analytical ability and reasoning, since when Engineering syllabus is supposed to have these skills? These abilities are needed in non engineering world, not in engineering jobs. If one wants to assess an Engineer, then, get them to make stuff, stuff which are used by others, that\'s Engineering. It is high time that people come out of bloated ego and stop giving hype to these not so great institution, which looks good only from outside, but are hollow from insdie. What\'s really made the JEE exams useless are the coaching institutes like fiitjee, bansal, narayana ... the list goes on. So instead of making students better at analytic thinking, they brainwash them into thinking that school studies are a waste of time and coaching are best. I am not an IITian but what surprises me most is the fact that the article mentions the success of coaching classes at Kota. There is no denying the fact that half of the students who used to crack the IIT JEE spent their 2-3 years at Kota.Bansal classes or whichever other coaching class it is,charges a huge sum of money and ILLEGALLY signs up with schools to get students through CBSE exams by forging attendance and not allowing them to goto school.YOU CALL THIS EDUCATION??? Another way to take way the autonomy from the IITs, Thanks Kapil Sibal, this what when you let bureaucrats, instead of educationalists take these decisions. I don't understand how quota system diminshes the standard of IIT. A person from the reserved category has to still clear the entrance exam to enter into IIT. IIT JEE is a test of sufficiency. I don't think everybody cracking the JEE is much cracked out to be. It would be nice to replace JEE with a more aptitude oriented test. JEE is flawed simply because it measures repeatable problem solving. No wonder the coaching institutes which have mastered the total spectrum of problems have helped candidates clear it like never before. I have worked/interviewed a lot of the IIT candidates and personally havent found anything great to set them apart. I have found students from far less famed institutes in the West to be much more original, analytical and innovative. Will however admit IITians are more hard working. But I would trade someone more original to hardwork. What is needed is a system of continous evaluation that measures sustained analytical capability and an apptitude for engineering subjects. This is not at all measured by the JEE. JEE/CPI/US Univ/an MNC job....seems to be pretty much what gets focus. No wonder the IITs haven't been able to produce something very original/innovative/path breaking by global standards...leave alone contibuting to more relavant, critical problems in the Indian economy. Whats made the IIT's mediocre is this current government's mad attempt to introduce every kind of quota into the institution and replace quality with quantity. A caste quota to elect even the Professors of the IIT's was the day I was truly fearful that they will go down the gutter. Anyways most IIT'ians only seem to have the IIM's on their mind, forget about research and PhD's. Thats a pity. it is the worst pattern of testing how we can select the merit student by giving the weightage of board marks some boards are very easy to get the marks and how can we trust the board that condut the exams it is very nonsense in many states by this pattern we get the students who mughup but the merit and if we want to go to root level students how i dont know English will decide the matter even the reasoning part many government students don't know about English and reasoning what about these students ??????? Professors will miss us [ JEE qualified students] I will try to predict the future as most of the economist do based on some of my assumptions regarding new ISEET. 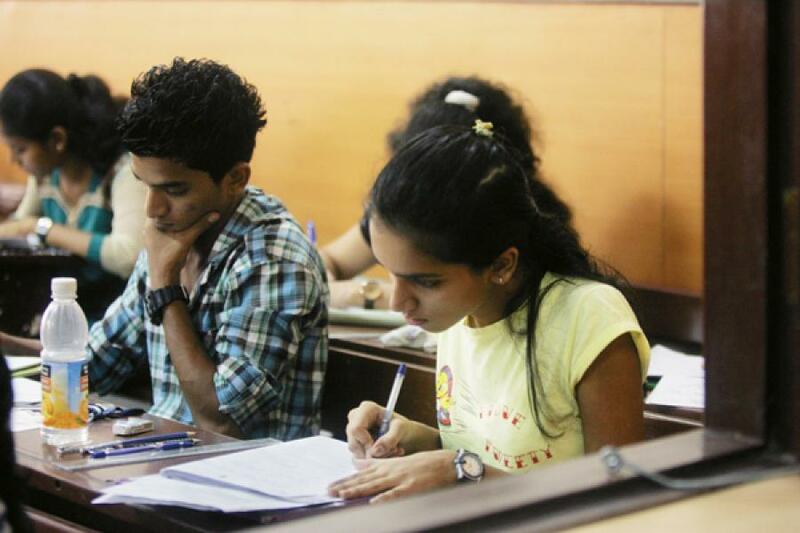 Assumption 1: It is possible to conduct a fair national exam like UPSC, IIT JEE, AIPMT. Assumption 2: There is a lot of people who have power/money to influence one school or some teachers. Assumption 3: Many teachers in CBSE , State boards do not have enough knowledge to judge students. Soon , many MLA , IAS , Industrialist will build schools or influence school with their power and money and will bring an advantage of few percentage points compared to a poor studying in Super 30 in Bihar or a poor student studying in Barmer. [ I have many friends who have cracked Jee from these places]. We all know that in national exam even two percent can make a difference between IIT or VIT. So now people who should have studied in some private Gangotri college in Meerut will come and study in IIT or NIT. It is not because we cannot take one fair exam, it is because we cannot really stop corruption in schools. Professor in IIT and NIT and the comapnies will miss students because: 1) We did not go to class and yet we got results better than those non Jee qualified PhD who do the same courses with us. This is hurting now for professors but later the students will attend every class and yet will not get pass marks. 2) Our seniors use to teach us how to apply to foreign universities or how to develop a technological product. People who will come later after ISEET will teach how to get more money from parents to do wrong things, how can they tease girls inside campus, outside campus. They will not spare even the family members of professors. Yes they will do that. After all they will be the kids of MLA, IAS, and other industrialists. They know they have to either run family business, or go in elections or get into some government jobs by paying money. 3) They will miss us because any JEE qualified student never thinks about saying any wrong thing to the professors. They respect and they fear also that this degree is all they have. They will be expelled from college if they do not behave properly. But soon those people who would have paid and come here will not have such disincentives. They will beat professors, they will do whatever they want. Some professor will complain but it will be of no use. The one who has beaten him will be so powerful that in the end the professor will ask for sorry and leave the campus. He will go back to US university where he came from. 4) There will be no placement from IIT, NIT. Why will companies pay extra when they dont know whether the student he is interviewing has come from legitimate means or not. Whether he has threatened every body to get such a grade which is there on his CV. Soon, good students will stop coming to IIT, NIT. Taxpayers money over the years that went into building this institution will be destroyed. Private universities will mushroom. Students are like consumers. They will by the degree or go to those college which is best suited to them. It is the majority of professors who will suffer. They have tied their lives to this institution and they will suffer the most. When a company stops producing good products some other companies produce it. The company which is closed. Only workers of those company suffer and I must say, professors are workers here and they will suffer the most. It is my exam time, this is my personal view. Any IAS, MLA reading this please do not try to hurt me in any ways. I know you have all the means and capacity to do it. I took the JEE exam in 2000 and it was proud feeling for me clearing two stage preliminary (objective questions) and main exam (subjective). JEE had its own charm and prestige that time. Later they moved to objective based questions only. And now govt. has some other plan. I am sure , whole India will miss the charm and prestige of one of toughest exam of the world 'JEE'. People running our government think that making a common exam for JEE, AIEEE and other engineering exam will reduce pressure to students. 1. Who will tell that if somehow the student did not do well in one exam, then he is gone, bec it was the only exam which will evaluate his talent. 2. And now IIT will be gone case for those who are good at analytical skill but not a mugging up, as in 10 2, u get good marks by mugging up. What I feel about JEE is that no matter how rigorously you have prepared, you wouldn't find as if you know answers. There are always things to work out. It is not a lookup table kind of mechanism. Its always new, enchanting, rigorous and that's the beauty of it. That is what separates it from others. It brings the best of you. An IAS is saying that UPSC can easily replace IIT JEE. Ofcourse Air force pilots can also be replaced with doctors? Killing JEE is not obviously the solution to condemn coaching classes. It is the exam which distinguishes talented and hard working people from the flock. The argument behind taking killing JEE was that students should not take that much of stress to clear JEE. But somebody please them that if these students are not made to handle pressure of JEE, how are they gonna survive in IIT. I am a student of IITD and so I know how much efforts you have to make here to make others feel your existence. So Indian govt should not underestimate the capabilities of our students. In fact it has become necessary to improve the level of JEE. JEE can be cracked by an ordinarily intelligent student now a days by starting to study from high school itself. Thus he may supersede a originally talented candidate and fail in future where real talent is needed. There are better means to search talents than JEE and needs to be replace by one such method. Interesting perspective guys. But I have been wondering how and what role will 10 2 marks play in any test for engineering? The initial rationale was that students are missing school because of coaching institutes. Okay. But why kill the JEE? Will it actually ensure that students will go to school? Very well written article-- thanks. I got my B.Tech in Computer Science from IIT-Bombay in 2002, PhD from Rutgers in 2007, worked with Intel, Santa Clara for 3 years and have been with NEC Labs in Princeton for the last 2. I have been donating money to IIT-Bombay on a regular basis purely out of gratitude and respect for a system that works and serves as the foundation for excellence. JEE being an important part of it. My question for Mr. Sibal is: "There are tons of problems with the education system in India at various levels. IIT isnt one of them. Why would you try and change a system that works instead of focusing your energies on ones that dont? With all due respect, that's the tell-tale sign of an attention-seeking troublemaker." One of the major sources of funding for IITs is the donations they receive from alumni. By scrapping JEE, not only are you taking a great risk in terms of jeopardizing the quality of students coming out of IITs (which has already been pointed out on this forum and several others), you are also potentially losing loyal alumni. I, for one, will stop donating. I have interviewed scores of candidates for research and engineering positions. When I see a CV with "B.Tech from IIT", I assign more value to it than "PhD from MIT/Stanford". If JEE were scrapped, that would change as well. JEE was the best and new system will destroy the real talent only who has good memory and could score good in Board will be selected and IIT will compromise with 3rd class talent. Our school teachers are very happy because now they will force students for tuition then only they will give 100% marks in practical only those syudents who took tuition from them and poor students will be badly affected. Abhinav, I'm aware of the downgrade in quality of JEE and consequently students coming out of IITs in the recent years. And, therefore, as you rightly pointed out, more attention has to be payed to the GPA of the student and other factors that make up their intellect and personality. I'm also aware of the dark-side of JEE-success and the harms it can inflict on the psych of a young adult. However, there's more to the "JEE Tag", than meets the eye. Hopefully, you will realize that in due time (I would need a lot of space and time to break it down for you). Besides, the solution to "expensive coaching institutes downgraded JEE" will not come by scrapping JEE, but by going back a few years and reversing some of the decisions that were made along the way (that lead to the current state). In nutshell: should JEE be scrapped: No. Can JEE be potentially rectified: Yes (but that's a related albeit different topic and should be discussed in another forum at an opportune moment). Its totally wrong in saying upsc vs iit_jee. IAS are far ahead and very knowledgeable . Only fools can say that IAS is easy. New system won't resolve the problem of coaching. It can't bcoz there will always be a need for upper edge to achieve and be among the best in a nation of population of more than 125 crore. It is just to gain the political benefit. Getting good % in boards (one just needs to mug up formulas, no need to get any depth in concepts) . Vanishing one of the best exams in world will only harm to our nation. I also remember the effort it took for me to prepare for JEE but could not qualify . I always had respect for those who did. But after many years i realize that it didnt make any difference. My friends and relatives who cleared the JEE are doing the same drab non-technical job in finance that i am doing except that IIT (and IIM) brand name probably gave them a faster trajectory. In contrast the most average students in my college are now doing cutting edge work in US because they liked it even if they were not that sharp. The reality is that JEE selects just a sharp candidate against the most suited candidate. None of my friends or relatives were suited for engineering. To test suitability you have to look beyond exams at interest, tenacity and lateral thinking along with character which US unis do very well. The JEE model is flawed because a future bobby fisher will clear the JEE (because of high IQ) and waste a seat but edison would not, even though the most significant eng advances were done by edison. I think the excuse of coaching institutes has been used by the politicians for promoting this new system for their own gains. The new system will only increase coaching classes. Chk this to know the actual story https://www.facebook.com/note.php?note_id=306232112767755 also join IITIANS.org on Facebook https://www.facebook.com/alliits if you want to save the JEE The toughest exam in the world and the only thing not yet touched by corruption in India. The IIT JEE today is highly devalued thanks largely to these coaching institutes. The emphasis is on "cracking the exam" rather than improving overall analytical skills. There is further an adverse impact of these huge competitive exams which put a premium on intensive preparation. The case of renunciate from cricket and girls mentioned above isn't unique. It is the tale of every IIT JEE aspirant. The UPSC is more exclusive in that the number of seats is fewer, it tests at a later stage in life and the it attracts a broader crowd of aspirants. There are a lot of IIT graduates who don't make it through the UPSC exam.